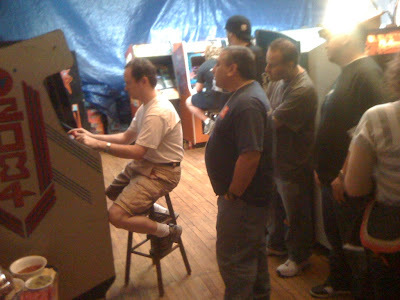 This last year, Mark Alpiger held his last tourney at Richie Knucklez' arcade in NJ and was looking for a new venue. He called me while I was on my way to pick up a pin with Zespy and asked me what I thought a good location would be. I recommended Logan Hardware as the near-perfect venue. Big city, good public transport, close airport, cheap hotels and a stellar and well-stocked arcade. I put Zespy and Mark in touch and they knocked out the details. The tourney was held this past weekend and it was a total success. Even the most introverted and quiet among the participants there couldn't help but say how great the place was, how nice Zespy was and how happy they were about the snacks and soda he provided all weekend. 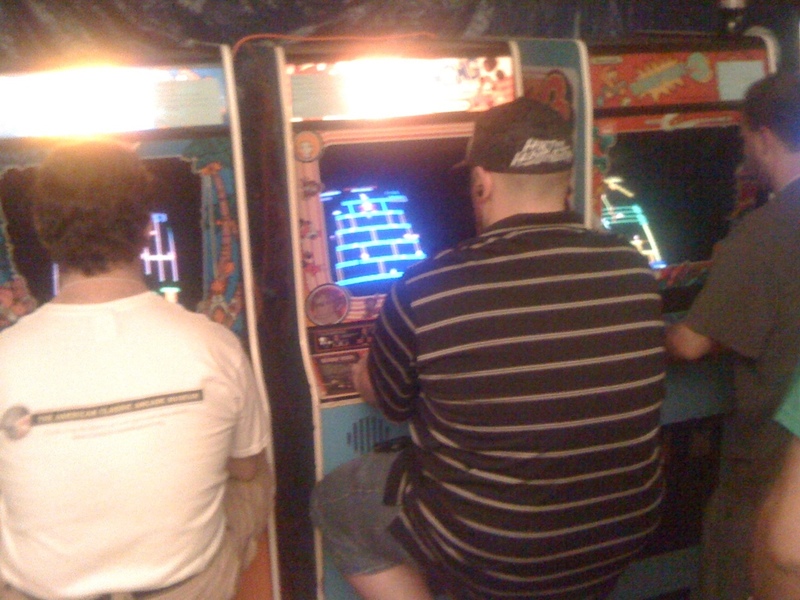 The event drew a number of top competitors in the classic arcade gaming world, including Justin Kvithyll (Zerst on shmups), Hector Rodriguez (WR holder on Return of the Jedi, among others), Eric Tessler (murdered it on DK and DK3) and or course, the great Donald Hayes. Lots of great titles were included, including my Beastie Feastie, Tetris Plus 2, Return of the Jedi, Dk, DK Junior and DK 3, Scramble, Bump 'N Jump, Gyruss, Tron and many others. I donated the use of one of my candy cabs to play Tetris Plus 2 in, which Justin crushed with a score of 1,617,610 and a Bubbles score of 622,190. 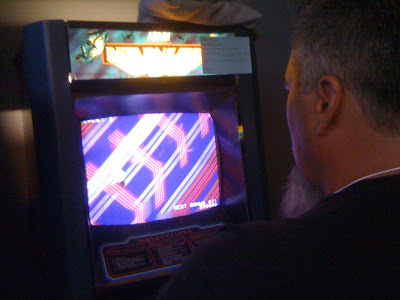 Hector tore up ROTJ with a 1,312,950 score, double what the next qualifier could put up. It proved to be one of the hardest games to qualify on as only 3 people out of 24 qualifyed! I was one of those people (3rd) and Justin was the other (2nd) with Hector taking first. 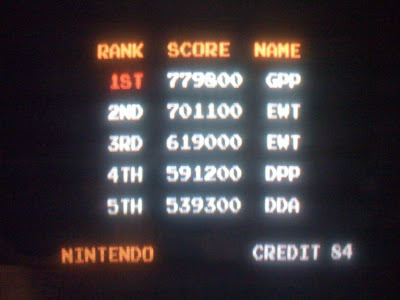 I did take down first place on Donkey Kong 3, which was my sole goal of the weekend, knocking out a new high score record for me at 779,800 with second place on the title taken by Eric at 770 and change. It was very close and I was pretty happy that I held onto first at the end of the competition. I am planning on getting down some hour long runs and then - maybe - trying to see how far I can go, if I can even get close ot the WR which is 4 million and change. Donald won the tournament making this the fifth he has won out of 7 entered if I remember Mark correctly, with Hector coming in second place and Justin third. 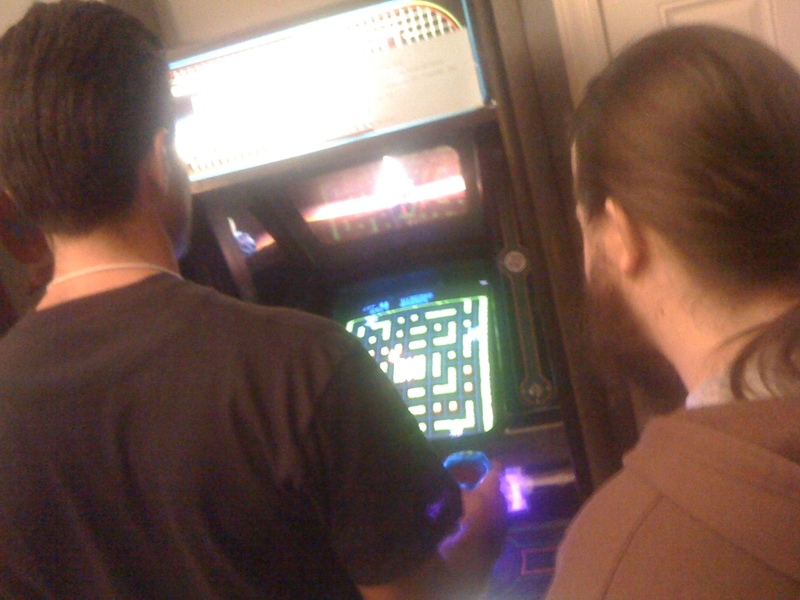 Competitors came from all over, including a number of guys from California, Donald from the east coast and even a gentleman from Alaska, which was definitely the furthest I think anyone has traveled for a CAGDC contest from what Mark said. It was a fantastic event and Zespy did a great job making sure the games all stayed running. Lots of happy competitors and a happy Mark mean CAGDC 8 will also be held at Logan, something they announced at the end of the contest.